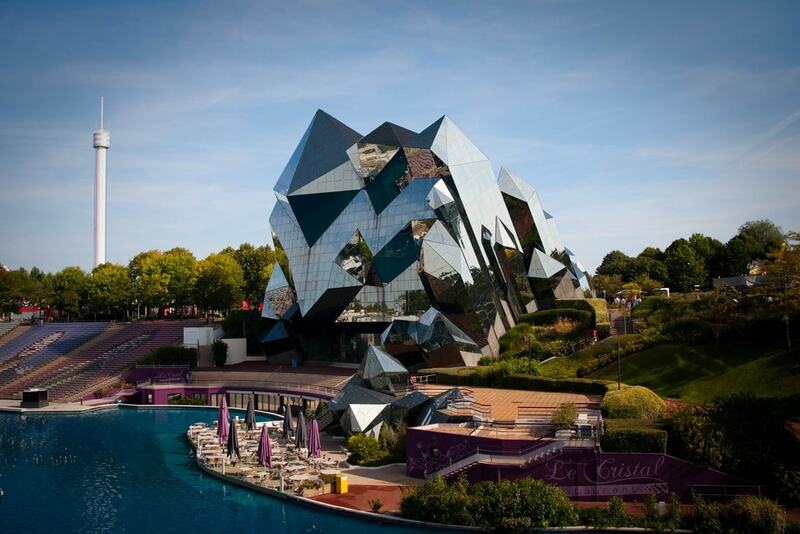 From burning viking ships and real moonwalk-tasters to cutting-edge interactive media parks, discover the thrilling French theme parks you should be visiting instead of Disney. Puy du Fou is an epic historical theme park in Western France. While there’s not a single ride or rollercoaster, there are spectacular historical reconstructions and shows that will whizz you back in time, including breathtaking sights, like a gigantic burning Viking ship. It is a dream visit for children and adults alike who love everything to do with knights and castles. The park actually draws in more than two million visitors every year, making it the second most popular theme park in France after Disneyland Paris, even though it is less well known. This theme park is geared towards space fanatics and sky dreamers, and you can revel in the discoveries made by man’s journeys into space. The gems on show include everything from a full-size replica of the Mir space station and an Ariane 5 rocket to the Soyuz spacecraft, an observation dome, IMAX cinema, and planetarium, not to mention the interactive exhibits at the exhibition center. The absolute highlight is the moonwalk simulator. While spending the day in a plant-themed park of attractions might seem a little strange, Terra Botanica is a fabulously unique day out. Not only is there 110,000 meters squared of beautiful greenery to explore but 40 attractions and presentations to keep you busy, as well as a 4D cinema. There are also plenty of surprises awaiting right from the moment you walk through the entrance of the ogre’s head, including a bunch of elves that ride around the park on bicycles. Astérix is the most famous comic book character of France, and here, you can discover first-hand just why he’s so fabulous. It’s one of the best-known theme parks in France, with enough rollercoasters, ghost rides, dodgems, and meet-and-greets to keep you going for hours. It also caters to the historical interests of Gaul, Vikings, Ancient Greece, the Roman Empire, Egypt, and the Travel Through Time world of 14th to 20th century France. A highlight of the hilarious live shows include stories, like of a Gaulish spy trying to infiltrate a Roman camp. 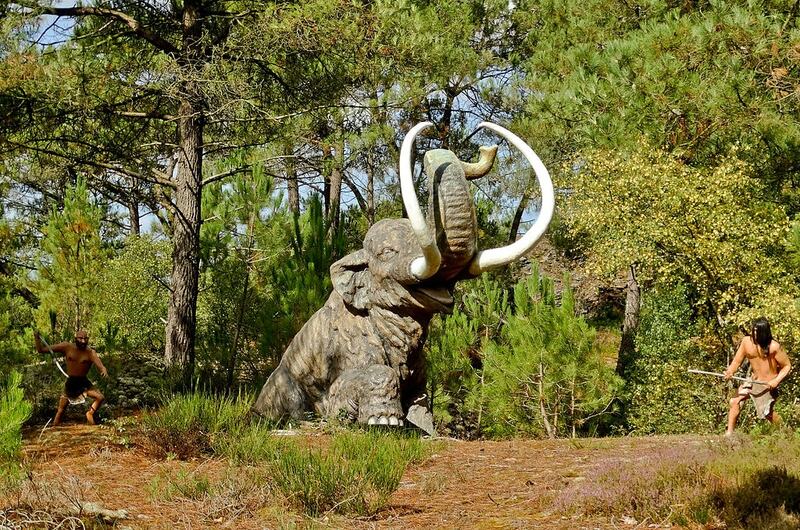 The Prehistoric park of Bretagne is perfect for people who are fascinated by dinosaurs. It boasts 30 life-size models of dinosaurs and scenes of prehistoric people hunting and fishing across its 20-hectar spread. 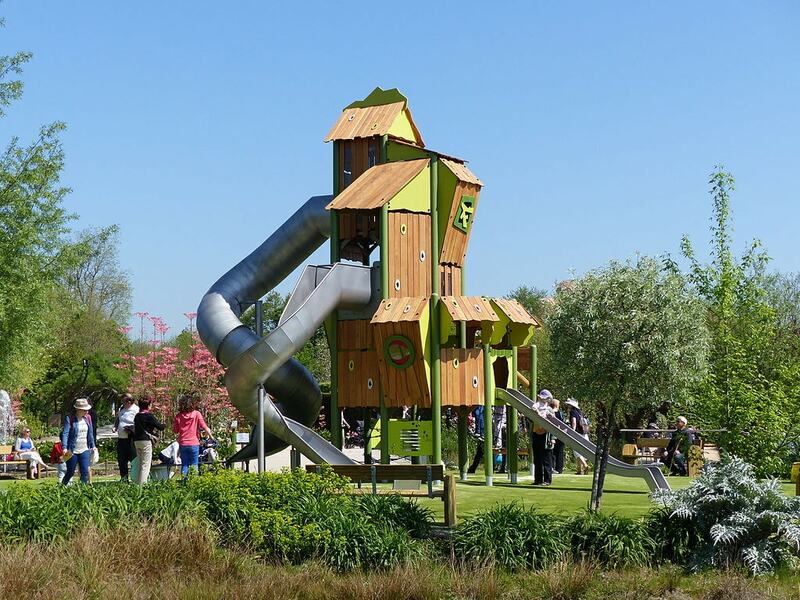 Not only is it educational, yet fun day out for all the family, but also a welcomed escape into nature, as the park winds through beautiful forests and alongside lakes. Futuroscope, or Parc du Futuroscope, is a fantastic French theme park based upon multimedia, cinematographic futuroscope, and unbelievable audio-visual techniques. It has several 3D cinemas and a few 4D cinemas, boasting unique media attractions and interactive shows, some of which are the only examples in the world. There are over 25 different attractions, including the European Park of the Moving Image, the underground Cyber Avenue, 3-D Imagery, Under the World’s Seas, Travel by Air and Sea, Cosmic Collisions, and more—are all superb experiences. The park attracts 1.8 million visitors a year. The theme park of Aqualand Bassin d’Arcachon definitely triumphs over Disneyland Paris when it comes to waterpark fun. The Aqualand Arcachon, located in the beautiful Gujan Mestras on the coast of Aquitaine, is a gorgeous day out, especially in summer. There’s a range of rides, whirlpools, and giant flumes, and for the daredevils, there’s the Black Hole flume that is in complete darkness. 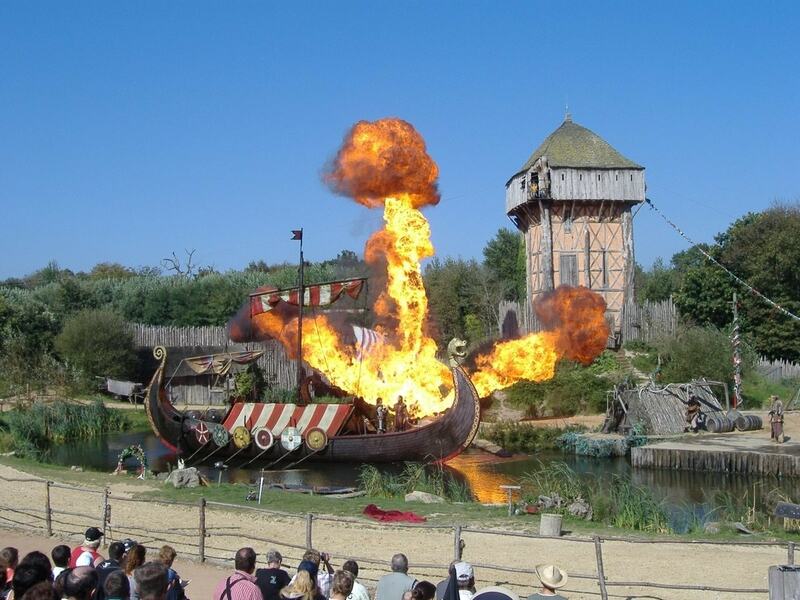 Located just outside Caen, Festyland is another historical theme park on a much smaller scale, compared to Puy du Fou, and aimed more towards younger children. There are also differences in that this one that adds in rollercoasters and waterslides, medieval castles, and 3D cinemas, mixing historical fun up with traditional thrills. The historical aspects center around William the Conqueror, Battle of Hastings, the Belle Epoque, and more, with live shows in the summer featuring pirates, Vikings, and even dinosaurs. 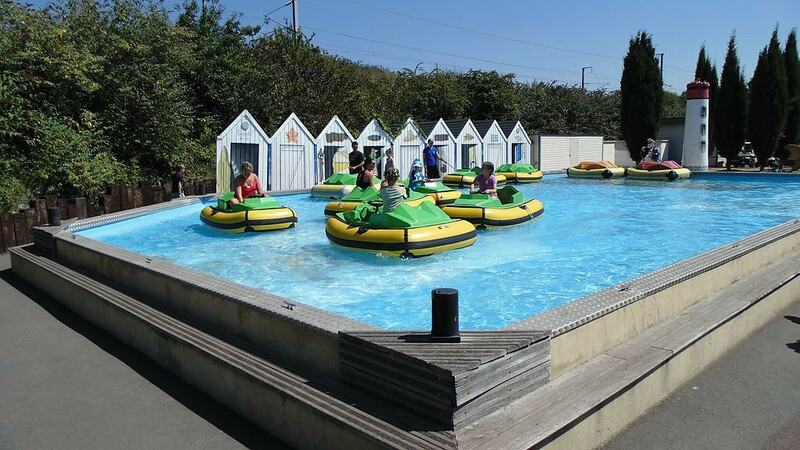 Nausicaá is much more than a sea life center and aquarium tucked away in Boulogne. It has 34,000 animals bobbing around in 4.5 million liters of water, reproducing all the seas on earth. There is entertainment and education in abundance, as well as lots of watery surprises. What’s more is that it’s the easiest park on this list to reach from the U.K. by ferry, making a viable day out for any U.K. nationals without the need to book a hotel, or equally, just a good start to a holiday in France.